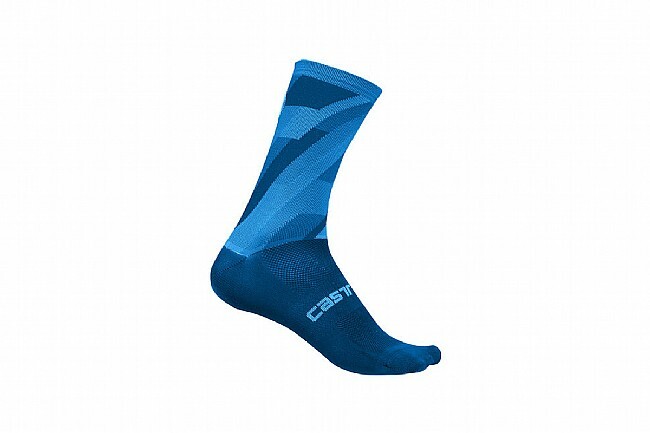 The Castelli Men's Geo 15 Sock is a breathable sock that offers optimal coverage and eye-catching modern styling. Featuring a 15 centimeter cuff height, the Geo 15 sits on the taller side of the sock spectrum. A Meryl® Skinlife construction gives the Geo 15 outstanding moisture wicking properties and natural bacteriostatic properties for optimal comfort. Great colors and style. Lightweight. Very comfortable during competition.